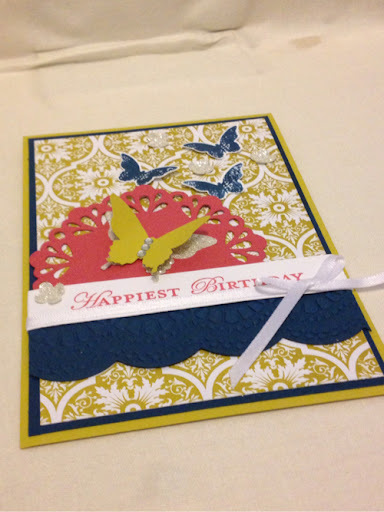 Good Morning Crafters.... today im sharing a card with you that i made to play along with 'The Paper Players' Challenge... If you would like to play along too click on the link below.. The sentiment i used is from Apothecary Art.. Midnight Muse, Summer Starfruit and Primrose Petals Cardstock and Ink, Bloomin Marvelous and Apothecary Art stamp sets, Sycamore Street DSP FREE in Sale-a-Bration, Delicate designs embossing folder, Large Scallop Edgelits, Delicate Doilies Sizzlits, Elegant Butterfly, Bitty Butterfly and Itty Bitty punches, White ribbon. This is LOVELY! 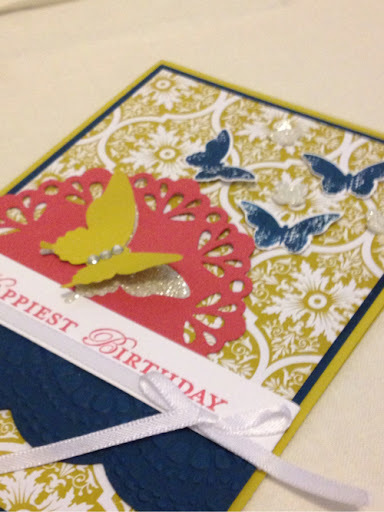 A beautiful use of the doily die and the extra sparkle from the glimmer paper is stunning! So glad you joined us at The Paper Players this week! Laura, this is so pretty. 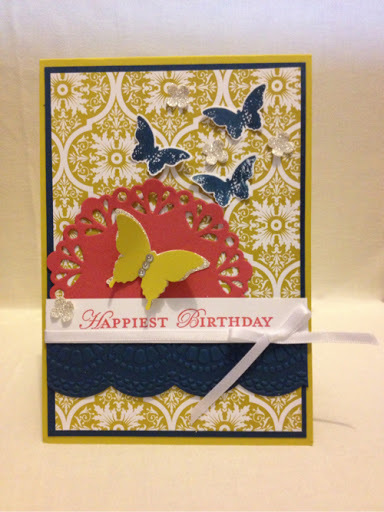 the butterflies look as though they have alighted on that pretty background. Great use of the challenge colors. So glad you joined the Paper Players this week. Very pretty! 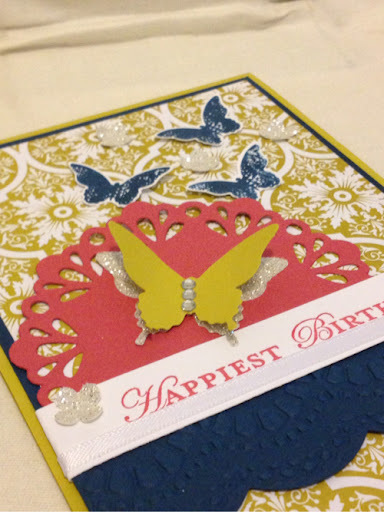 Great way to use those butterflies as well as that delightful DP! 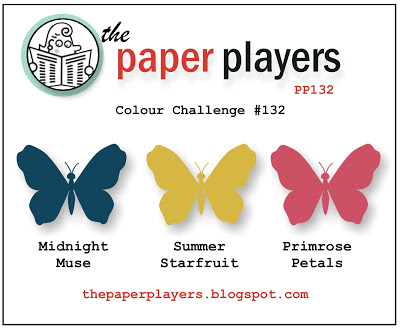 Thanks for playing with the Paper Players colors this week! So pretty, Laura! 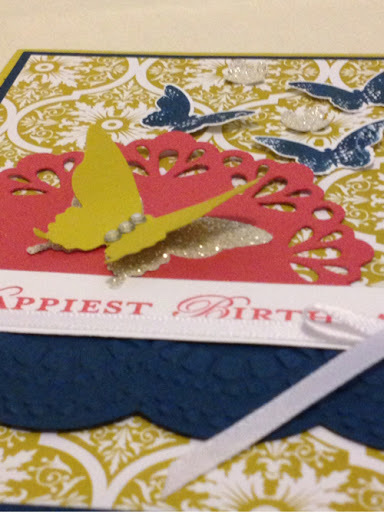 Love that background paper, the delicate butterflies, and your embossed border. Thanks for pplaying along with The Paper Players this week!